If you love to dance, this event could be the main reason for your trip to Vallarta. 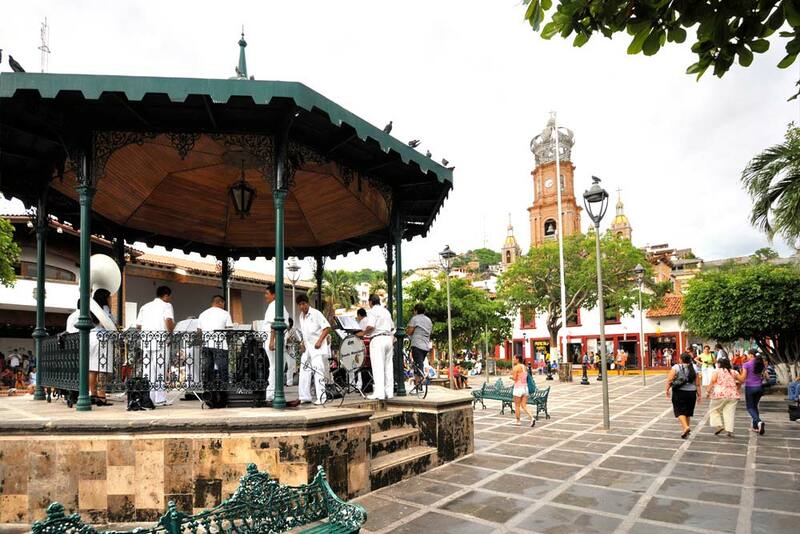 Spend an unforgettable evening dancing to a local band in the main square of Puerto Vallarta. The live music and the sound of the waves in the background create the perfect setting for a vacation in Puerto Vallarta. Enjoy a variety of musical genres, such as cha cha cha, two step, tango, march, and waltz, as well as several musical styles from northern Mexico, and of course, danzon (the official musical genre and dance of Cuba). This event begins at 6:00 p.m. every Thursday and Sunday. You can explore this peaceful destination at night by bicycle with “Vallarta en Bici.” The meeting point is at the Whale Sculpture (Escultura de las Ballenas) located at the entrance to the Marina at 8:45 p.m. Come and be a part of this wonderful family-friendly tradition and tour the main streets of Puerto Vallarta all the way to the boardwalk. 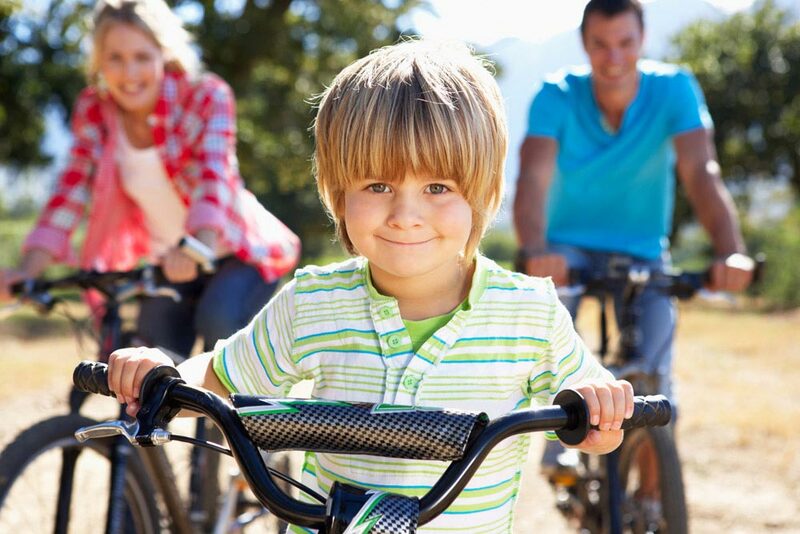 Add to this the Recreativa Puerto Vallarta, which takes place every Sunday from 8:00 a.m. to 12:00 p.m., when the main Medina Ascencio Boulevard is closed to traffic, from the Sports Complex to the Hotel Krystal, to accommodate cyclists. If you like to practice yoga, then the “Yoga Colectivo” event is for you. Bring your mat and a bottle of water, and get ready to enjoy a series of routines every Saturday from 8:00 a.m. to 9:30 a.m. with certified instructors from several local yoga studios. This healthy activity takes place at Los Arcos del Malecon (the stone arches across from the main plaza) and voluntary donations are accepted. This ancient ritual in honor of the sun, which originated in the state of Veracruz, is believed to bring better harvests throughout the year. 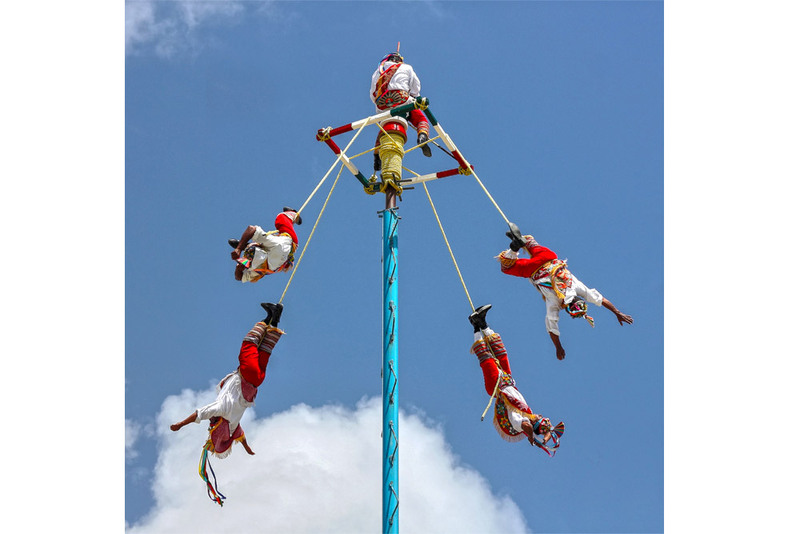 It translates to the "Papantla Flyers" and is performed by five men who start out at the top of a 50-foot pole: one plays the flute while the other four are tied with ropes and swing upside down around the pole to descend to the ground. You can witness this Mexican tradition on the boardwalk in Puerto Vallarta every day beginning at 6:00 p.m. Enjoy all of this and more when you visit Puerto Vallarta, one of the top beach destinations in Mexico.